Karen Rands, the host of the Compassionate Capitalist Radio show will interview Bruce Blechman about an innovative fresh approach to financing a small business. Investors will want to hear about this way to get an immediate return on investment and entrepreneurs will want to hear how they can use this to attract capital for their business. Call ins will be taken. Bruce Blechman is the author of The Secret to Getting Money in Northern California and co-author of the best-selling book, Guerilla Financing, published by Houghton Mifflin in a number of languages and used in college courses nationwide. Mr. Blechman is a nationally recognized speaker and is considered to be one of the country? 's top experts on the subject of entrepreneurial finance. He has been a national columnist, author of the monthly column, ?Creative Financing? 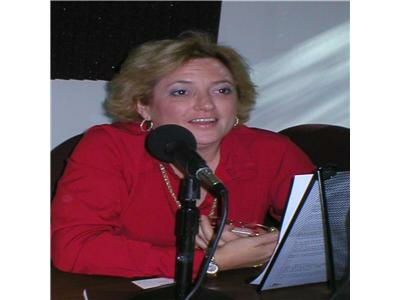 in Entrepreneur Magazine and host of the New Venture Money Show on the Business Radio Network, as well as a guest on numerous radio and TV programs. Articles about him have appeared in USA Today, The Los Angeles Times and other national publications. Mr. Blechman will talk about how Revenue Participation Financing can actually reduce the risk of investing in early stage companies. Revenue Participation Financing or RPF as it is called is an entirely new way to invest in entrepreneurial companies. RPF is a structured finance program in which the investor receives a percentage of the business? revenues. An RPF is very easy to calculate, as it is simply a predetermined percentage of the revenues of a business before any expenses are deducted. An RPF can be compared to a royalty payment to inventors. Mr. Blechman will discuss the advantages of RPF for not only investors but for entrepreneurs looking for risk capital.